About 30 employees got the cut in Activision's latest restructuring. Activision Publishing has a bad case of the layoffs. The publisher recently confirmed that about 30 workers have been let go from studios around the world. An official statement explains that this downsizing is part of the publisher's continuing plans to reduce its focus on licensed games. 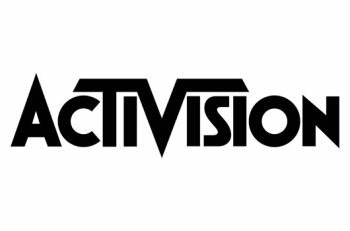 "Like any successful business, Activision Publishing consistently works to align its costs with its revenues," an Activision representative told Kotaku. "This is an ongoing process. In 2013, we expect to release fewer games based on license properties and as a result are realigning our structure to better reflect the market opportunities and our slate. Approximately, 30 full-time employees have been impacted globally, which represents approximately one half of one percent of Activision Blizzard's employee population. We are offering those employees who are impacted outplacement counseling services." Activision does have a significant roster of licensed game franchises at its disposal. Transformers, Spider-Man, and James Bond are just a few of the series that may be downplayed in the coming year. On the other hand, Activision is picking up The Walking Dead: Survival Instinct, Deadpool, and a trilogy of Teenage Mutant Ninja Turtles games, so at least a handful of licenses are still on the menu. Initial reports implied that Treyarch, developers of Call of Duty: Black Ops II, would be shouldering the brunt of the layoffs. However, an Activision spokesperson clarified that many of the jobs being cut are coming from different branches of the company, primarily those concerning licensed games. Treyarch is still receiving a "minimal reduction in staff," though the spokesperson assures that it won't affect the studio's upcoming DLC releases. Activision's estimate of 0.5% does seem small, but that does account for Blizzard's hordes of peons who are less concerned with licensed games. In addition, the official statement may seem a bit familiar: Activision issued a very similar statement last October when it cut another 30 jobs from its Minneapolis office. Those jobs were all from the "publishing level," so the studios that make the actual games shouldn't be hurting too badly, but the numbers are starting to add up for the publishing giant.